Healthcare compliance is a complicated beast. There are rules and regulations that must be followed to the letter, and a list of system security requirements a mile long. You could potentially spend months researching and learning how to achieve and maintain compliance for your practice, and another few months afterwards learning enough technical skills to implement the necessary changes. Or, you could contact us and consider compliance handled. You see, the beauty of what we are able to offer is start-to-finish compliance expertise. 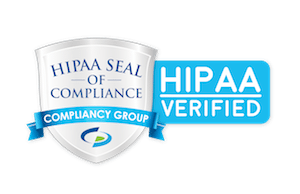 There are a number of groups out there that can help you with aspects of healthcare compliance, but none that handle the entire process. Some firms only provide audits, and tell you to find an I.T. group to remedy any findings. Other groups only handle I.T. needs, and don't even touch the paperwork & policies that need to be put in place to pass an audit. Not us. Garrison Data Services is uniquely positioned to offer you everything necessary to achieve and maintain compliance. The technical requirements, the paperwork, the written policies, the vendor agreements, the six federally required annual audits, we handle it all. Want to know more? Let's talk. Don't let healthcare compliance slow down your business.